Parking for those with mobility difficulties on Avenue Field, Burgmanns Hill on Sunday pm for the Armistice Event. Please bring your own chair and torch. 09.45 Service in Parish Church – jointly with Methodist congregation. 10.50 Village act of remembrance – Wreath laying at war memorial. Read out names on the memorial. 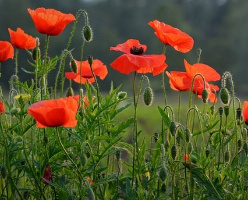 15.00 – 1600 Everyone invited to bring their poppies to Cliff Field for display. In the evening there will be entertainment and refreshments on Cliff Field, before lighting the Beacon. If anyone has any War stories we would love to have them included in the exhibition in the Village Hall. We also need more volunteers, even if just for an hour or so, to help provide this memorable weekend for the village. Any profits from the sale of refreshments will be shared by the Royal British Legion, the Royal Marines Association, Lympstone Scouts and Lympstone School PTFA. Please contact Jenny Clark (merryfield@etcpm.com) or Linda Lyon (malcandlinda@aol.com) with offers of support or more information.